The decision to write an ongoing series is a gutsy one. The creator must feel confident in his or her ability to craft a believable world filled with believable characters; his or her ability to thread a titillating story that grips the reader and has them clamoring for more and, of course, his or her ability to run the grueling gauntlet required to write story after story after . . . This is what makes Black Womb (Engen Books, 2007), the inaugural book in the eponymous, thriller series, so impressive. Within the first few chapters, we are introduced to evil corporations, powerful foes and people with mysterious identities/pasts. These are archetypes, true, but powerful ones. When placed in a (formerly) quiet, mid-sized town and faced by a group of everyday teens, it becomes relatable – even when the bodies start to pile after a number of impressively written action sequences. In a way, this novel reminded me of the 2005 film, Brick, in that the teens dominate and the adults are secondary. I’ll expand on this point later. The core characters in the story are Alexander ‘Xander’ Drew — one of the aforementioned everyday teens – and school friends Mike Harris, Cathy Kennessy and Sara Johnson. The latter three are more complimentary at this point, and rightly so. Xander’s journey in this novel is the real draw and author Matthew LeDrew pulls few punches with his lead. When a fellow student is slashed apart in the street, everyone wonders ‘why?’ and ‘who’s next?’ The answers to those questions cannot come quick enough as the violence zeroes in on the four friends. The search leads them on a quest that becomes very personal – more personal than Xander would’ve liked. That leads to one of the strongest, but also weakest, parts of the story. Black Womb handles tension, pace and the sensation of fear exceptionally well. The characters? Not so much. What would you do when a merciless, walking weapon lurks in the shadows and slays people within your age group? Gather under one roof, of course! The adults also don’t seem to play too much of a role, which is unfortunately because the world otherwise is fleshed-out and realistic. The questionable decisions are balanced out by three-dimensionality and full-bodied voices: it is easy to envision each character and location while reading the book, a trait shared by seemingly all of Engen Books’ titles. The #1 Bestselling Superhero thriller takes a dark turn as a supernatural force invades Coral Beach, preying on the sick children at a local hospital. Xander must confront this horrifying new supernatural threat while battling his own inner demons to prevent more children from dying due to his failure to act. Can Xander contend with this new demonic threat and save the children of Coral Beach? Download the thrilling start to the FINAL Black Womb story arc, ‘Radically Both,’ that The Telegram raves “emerges from the urban fantasy tradition — the introduction of a fantastical element into a true-to-life, modern setting” today! Okay, so here’s one I get asked a lot: how do you construct a scene so that it has good energy. So that it pops, and seems like it’s coming off the page at you. Begin after the scene has began, and end before the scene has ended. That sounds confusing and trite, but it works. Basically starting scenes in medias res (or in the middle of the action, for you English-speakers) makes it more interesting and more dynamic. It pulls the reader in an eliminates the painful exposition that often punctuates a scene. Xander entered the room through the door against the North wall. Julie had been waiting for him, standing by the window and looking out upon the trees surrounding her house. Her room was small and pink, and he always felt comfortable in it. Mike had told him once that it was his maternal complex, but he’d ignored it. “I didn’t think you’d come,” she said, stroking her arms with her hands. He ignored her, stepping forward and placing his hands on the clammy flesh of her arms. She glared at him at first, then softened. He held her there until she was calm, then they both walked downstairs together. “I didn’t think you’d come,” Julie said, stroking her arms with her hands. See? There’s energy there. There’s still flaws. We miss that description of the setting and the jab that Mike made at Xander, but the fight is stronger. So you have to look at it both ways and decide which way fits your theme and tone better. Was the point the mood created by the description? Or is it about Xander and Julie’s relationship? These are choices that can be made during editing, but eventually it becomes a part of your writing habits. Now, this is a short scene on purpose. Had this been for a story it would have been much longer. Also, I have no idea what they’re talking about… Hard to make two characters fight without context… Though if anyone could do it, Julie and Xander could. Alrighty guys! So I’m back in St. John’s after a wonderful weekend at Hal-Con 2011, and let me tell you, it’s hard getting back into the swing of things! First off, a re-cap of the weekend. Friday we landed, Matt jetted off to the convention centre and I jetted off to bed. The day had taken a lot out of me before we even left Newfoundland; getting all the last minute details ready, almost being killed by a crazy lady who decided it would be cool beans to cross over three lanes of traffic when she got off the off-ramp and send us peeling out of her way into what would have been oncoming traffic on any other day. Yeesh. Anyway, where were we? Right, Friday night. I slept, woke up bright and early to Hal-Con Day One! Let me just say, the sheer amount of people at 9 am when doors opened was impressive. Lots of love there. Matt and I did our staple panel on writing, but thanks to the packed room, it quickly turned into question and answer, which is fine by me seeing as people commented that it was more helpful. At the end of the day, being helpful is my job ;). Anyway, moving along. Around 5 pm Matt and I jotted out to get ready for the Stargazer Soirée. After a long day of running around and sitting pretty (read: awesome, exciting times! ), the bacon wrapped scallops and lamb chops being carted around for our nom-ing pleasure were much appreciated, as was the company and city view from the top of the WTCC. Seriously a stunning little venue. Day two saw more fun, but unfortunately in an effort to get me home bright and early I had to leave all too soon. I still managed to pack lots in before my flight (read: most hellish experience of my drama queen life). 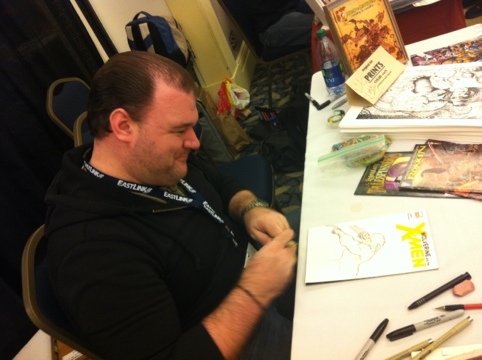 There was lots of fun to be had with Jay and Heidi of Ink’d Well Comics for the What the Wild Things Read launch (one of the highlights of the weekend being able to give back through charity! Kudos to them for getting the ball rolling and putting out such a lovely finished piece!). As well, Hal-Con 2011 marked Engen Books re-launch of Compendium to the international market as well as the launch of Black Womb Book 8: Inner Child. After all that fun, I still managed to find time to get whisked away for gelato (Italy, if all goes well, I’d like to be back by 2016, fingers crossed!). Seriously the best gelato this side of the pond. Had a scoop of lemon-lime, a scoop of passion-berry and a scoop of rose hip flavoured gelato. The rose hip flavoured gelato was by far the most heavenly thing I have ever tasted. It is damn good I only manage to get by Halifax once a year because I would be so freaking fat living off the stuff. From gelato, I only got a few more hours at the con, being whisked off for my “early” flight home. I should have gotten home 11:30 NL time. Should have. It was my first time flying alone, and waiting for my flight left me a jittery mess. I’ve flown plenty of times before, just never without someone else, so naturally I was freaking out like a crazy. By the time we boarded and took off however, I had managed to calm down. Then came mechanical failure. Seriously folks, when you’re in a swifty little plane directly over the Atlantic, you do not want to hear “we are experiencing mechanical failure and will be turning around at this time”. You panic more than a little. By the time we were back on solid ground (after a very bumpy landing and some turbulence) I was ready to swim back home rather than get on a plane, especially when we could watch through the window as they yanked all the parts out of the plane one by one. After more than an hour of watching them do this, with no idea of what was going on, the flight crew finally clued us all in that we’d be taking another plane around 11:30, about half an hour after we should have arrived home initially. Sunday, November 13th saw the release of yet another Engen Book: Inner Child by Matthew LeDrew, the 8th book in the Black Womb series. As mentioned in a previous post, attendance at the launch was slight due to our being pared against the annual costume contest… but that’s fine. Hell, it’s almost better. Those that did come really wanted to be there and were dedicated to the art of the story. After I read from an early section of the story and Ellen read, a few people asked questions about what they’d heard before the talk changed into a general discussion of literature and fiction. And really, that’s great. It was almost like a third writing panel, and I love writing panels. Hell, I love writing panels so much I started Virtual Writing Panels. It’s the main reason we have this very blog. All in all a great launch and a great day. Can’t wait to do it again next year, but right now I have to get things ready for April. What’s happening in April… we’ll have to see, won’t we? 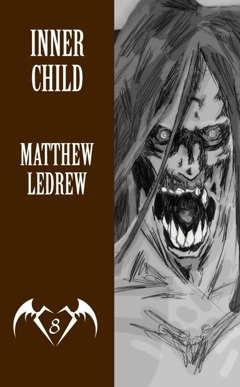 Oh, and people, let me know what you think of Inner Child once you read it. When we last left our hero (sarcasm) he was just beginning to pen the first Black Womb novel. I’d like to keep in mind that I was never intending, at this point, to write a series… Or even a novel, for that matter. No, I was just writing, and I can’t stress enough how important it is to just do that… For enjoyment. That said, these posts aren’t a writing process series… That’s what the “My Writing Process” posts are for. This is the how and why of Black Womb, and I’m going to try and articulate where the inspiration for each element of the story came from. Let’s get this out of the way: everything comes from somewhere. There is no magical Muse that puts random thoughts in your head, it all comes from somewhere. In On Writing, Stephen King talked about how his first book, Carrie, was inspired by two thoughts (telepathic phenomenon and the memory of a poor girl from high school) coming together. That’s fine. Two ideas merging to create something new is what life and procreation is all about, and there’s nothing wrong with that. Just make sure it’s not blatantly plagiarism. Taking one small element from another source is one thing, taking everything from that source is quite another. Okay, so now that we’ve admitted that everything comes from somewhere, let’s talk about where everything came from. It sometimes seems as thought all my readers have their theories, but they’re typically just… Wrong. So here’s the truth to set it straight. Names: This is a big bone of contention for some, who have noticed coincidental patterns in the names. Xander is a big one, because there are so few fictional characters named it that it’s easy to see the strings as it were. So, for the record, yes it was inspired by the Buffy character. However, in my defense, while I eventually became an avid fan of Joss Whedon I wasn’t at the time. I had named the character in my previous stories and liked it because someone had told me it meant “hero of the people” and I thought that fit well, so I wanted to use it again but also didn’t want to be repetitive, so I was trying to find some other permeation of it. 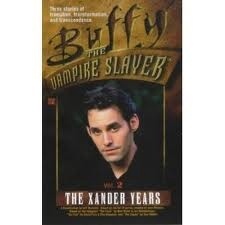 Someone had given me a novel called “The Xander Years” assuming I was a Buffy fan. It was just a novelization of a few episodes, but when I started reading it I quickly discovered that Xander was short for Alexander and adopted it. That simple. Harris is Mike’s last name and Xander’s last name from Buffy, but that’s innocent as well. There was a politician here in Newfoundland and the time named Mike Harris. I already had Mike’s first name and when trying to come up with the second name that one just popped in. It wasn’t until years later that someone pointed it out and I realized where I’d gotten it from that I recognized what I’d done, and laughed tremendously. Similar story with Sara’s name. I was wondering what went good with Alex and kept going “Alex and… Alex and…” and the name Sara kept popping in, so I used it. Didn’t realize until after that my cousins were named Alex and Sarah (both girls) and that’s typically how we referred to them… That’s why it sounded so right together. Sarah has since said she doesn’t mind. My fellow author Steve Lake believes no matter how many times I tell him otherwise that Sara is named for Sarah Michelle Gellar of Buffy fame as well. Sorry, not the case, although I imagine he won’t believe me even now. The Womb: There are also a few Womb elements that are borrowed, though not from Venom like people always say. Part of it is the Black Man dreams as I explained in the last post in this series, but other elements come from somewhere very different. This is a touchy subject with me, but I’m trying to be as honest as I can. Around the time I was sitting down to write the first Black Womb novel, my grandfather had developed a nasty bout of pancreatic cancer. He has since died, though not of the cancer… He beat that. I miss him very much. 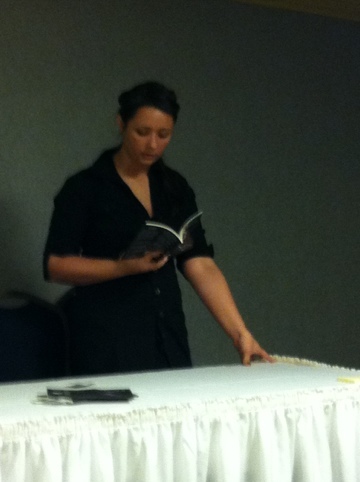 Becoming was dedicated to him. I really can’t believe my parents let me watch this. Though I’ve never been good at externalizing my emotions in healthy ways, what I write is typically a good indication of what I was feeling at the time. At this point I was very worried that my Grandfather would die of cancer. I remembered an old episode of the X-Files (my father and I often watched it together) in which there was a black creature that was apparently made of cancer. It was cancer embodied and made sentient. This appealed to me greatly. I think some part of my teenage mind wanted to make cancer something tangible… A physical villain I could punch like the heroes in comics. So the Black Womb suit became a skin of black organ. The Black Womb, in original conception, was cancer. He’s not anymore, but that’s how it started. When my Grandfather went in for an operation to try and remove as much as the tumor as possible, and when they did they discovered that the cancer had eaten part of his rib. If anyone notices, there’s a scene during Black Womb where that exact thing happens. During a chemo treatment something amazing occurred. My Grandfather’s appendix ruptured and shot poison throughout his body, or at least that’s how it was explained to me. I’m not sure on the actual science, maybe Heidi Paulin from over at Ink’d Well Comics can make a post to educate me. In any event, we almost lost him right then and there… But when they flushed the appendix poison or whatever out, they discovered that the poison had killed the cancer. It was gone, at least for the time being. If anyone wonders why the Womb’s power lies in his appendix and that it gives him miraculous healing abilities, you can trace it back to here. That one miracle gave us ten more years with my Grandfather, and helped inspire to course of my life. This is how Black Womb was formed. The rest, the plot, is all me. Everything else is just story that came together around these elements of my life. I’ll try to delve into the other books as well, but I doubt any of them will have as much impact on me as the History of Black Womb.